In maybe a first for the Cannon Courier, the newspaer is taking the issue of Nathan Bedford Forrest off the editorial page and placing it on the front page to stress the historical importance of Forrest's legacy. This newspaper will continue to delve into the issue of Forrest especially in connection to Forrest Hall at MTSU and the controversial bust of the general currently housed at the Tennessee State Capital. Before educated folks go ripping the name off a building, Middle Tennessee State University officials might offer a mandatory history lesson, laced with reality regarding the ROTC building's namesake, Nathan Bedford Forrest. They could start by consulting Rutherford County's official Historian Gregory Tucker's detailed research regarding the post-war life of Confederate General Forrest before putting his name in the dust of time. See if you don't agree post-war conduct contradicts his portrayal as the Founder of the Ku Klux Klan. "Retired Confederate General Nathan Bedford Forrest was an outspoken advocate for the civil rights of freedmen in postwar Tennessee," chronicles Historian Tucker. "This advocacy and his popularity with the Memphis black community were resented by some of his white contemporaries who spread false rumors to discredit the general and further their own political interests." As the late great American broadcast journalist Paul Harvey, would declare, maybe it's time for the rest of the story. "Shortly after the end of the Civil War, and while Memphis was still under U.S. military command, Forrest spoke to the federal authorities regarding the former slaves within their command," Tucker's research validates. "He noted that many of the freedmen were skilled artisans and should be employed. Additionally, he urged the next generation would not be dependent. "Forrest also approached the Memphis Board of Aldermen, according to newspaper accounts, and argued that the colored citizens could be doctors, clerks, bankers or anything else if given the opportunity and education. He believed that the blacks were a part of the community, and should be involved and employed like anyone else." Did Forrest put action behind his post-war conduct? "Although his words to the federal authorities and the city aldermen went unheeded, Forrest conducted his own business consistent with what he urged upon others. As president of the Selma, Marion and Memphis Railroad, he employed former slaves as construction engineers, crew foremen, train engineers and conductors. Blacks were hired as managers as well as laborers." Being a journalist for 5-plus decades has exposed me to multiple history makers and history lessons. That's one of the perks of the news business that often puts you on the front seat of history, even when it's being made. When I worked for the Nashville Banner editors Weldon Grimsley and Harold "Cowboy" Lynch assigned me in 1972 to Pulaski, Tenn., credited with being the birth place of the Ku Klux Klan in the post-Civil War era. That's when James Brown became the first black citizen to run for mayor in Pulaski. Although Mr. Brown (now deceased) did not win the election, he showed respectable in balloting. I did the news stories for that historic evolution of society. Forrest is often credited with starting the KKK in Pulaski. You be the judge. "Forrest detractors allege that the Confederate general was the 'founder of the KKK.' That is factually incorrect," Historian Tucker confirms. "The 19th century Ku Klos was founded as a fraternal organization on Dec. 24, 1865, in Pulaski, Tn., by Thomas M. Jones, a Giles County judge; Frank O. McCord, publisher of the Pulaski newspaper; and four other Confederate veterans. Though not present at a Ku Klos meeting in Nashville in 1867, Forrest was elected Grand Wizard of the organization." Here is critical information that MUST be shared in present-day school curriculum. "There is no evidence that Forrest ever wore any Klan costume, or ever 'rode' on any Klan activity," Tucker's research shows. "He did, however, on Oct. 20, 1869 order that all costumes and other regalia be destroyed and that the Klan activity be ended. That was confirmed by the U.S. Congress in 1871." 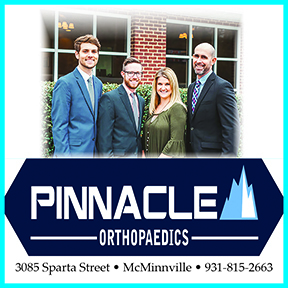 He's the Tennessean who staged one of the most exciting moments in state Civil War history, the night of July 12, 1862, when his Calvary and tactics rescued a number of Cannon County men slated to be executed by Union forces who had occupied Murfreesboro. 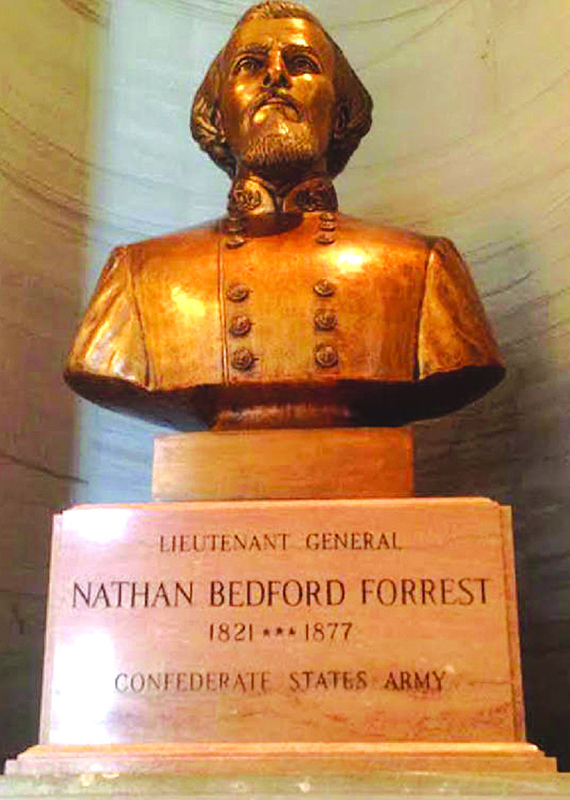 Nathan Bedford Forrest, born in nearby Chapel Hill and not in Pulaski, deserves 'Not a Politically Correct and Blatantly False' depiction by today's under-educated lawmakers and college administrators, but an accurate seat in significant Tennessee history. Interesting history that should be taught in Tennessee classrooms, starting in about the fourth and fifth grades.